Bronchial irritation, whether acute or chronic, can leave you feeling achy and exhausted. 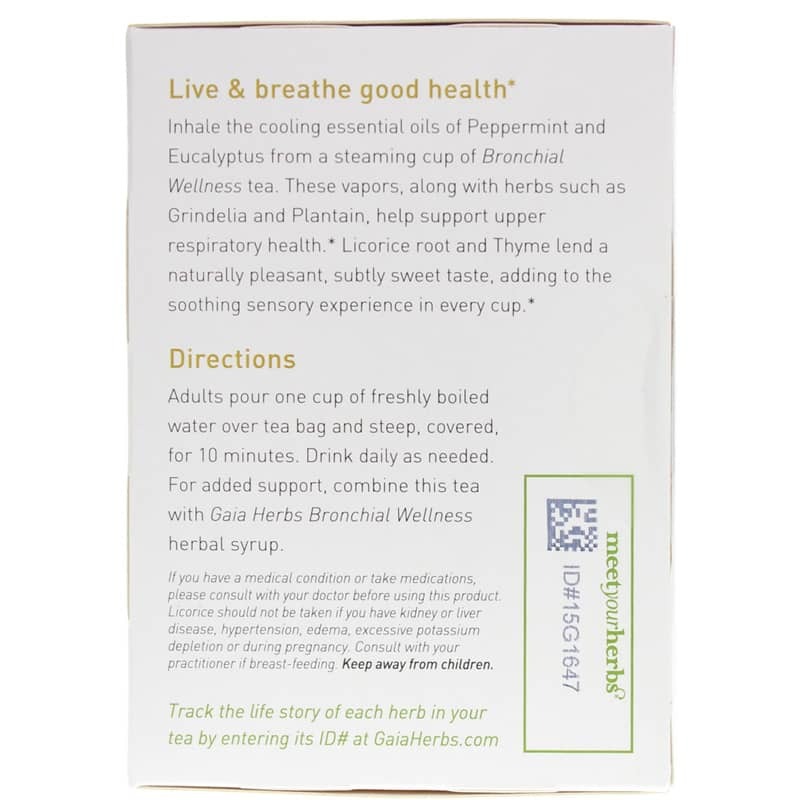 Bronchial Wellness Herbal Tea was designed to support soothing an irritated respiratory system. 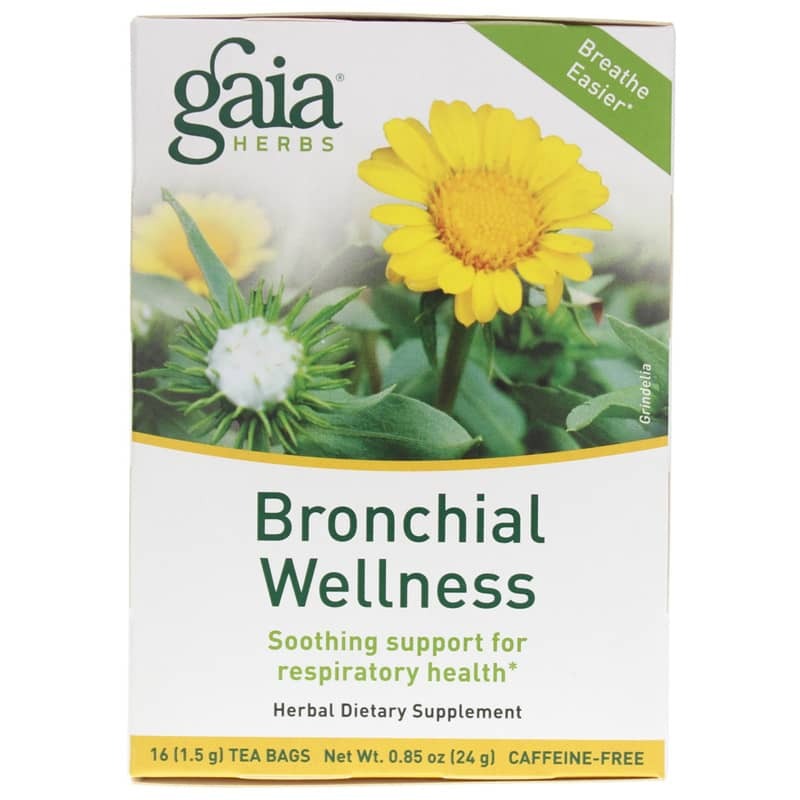 Gaia Herbs teas are all-natural herbal medicines, with each cup delivering a delicious taste experience as well as fast-acting relief. Gaia protects the potency and taste of their teas with foil-lined, flavor-seal pouches and protect our planet with tea bags tied without the use of staples or glues. Adults: Pour one cup of freshly boiled water over tea bag and steep, covered, for 10 minutes. Drink daily as needed. 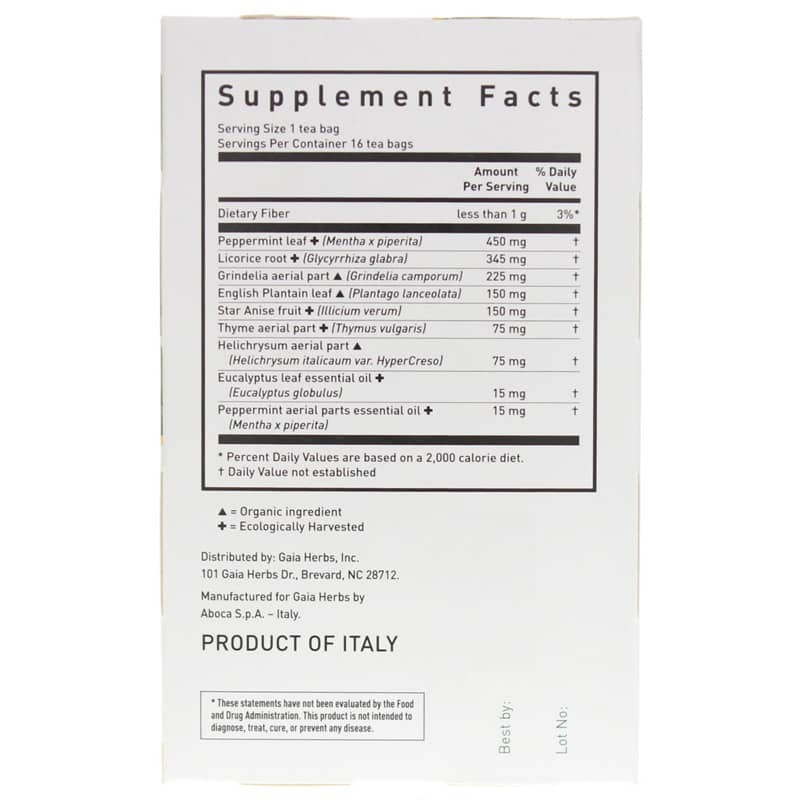 If you have a medical condition or take pharmaceutical drugs, please consult with your doctor before using this product. Licorice should not be taken if you have kidney or liver disease, hypertension, edema, excessive potassium depletion or during pregnancy. Consult with your practitioner if you are breast feeding.